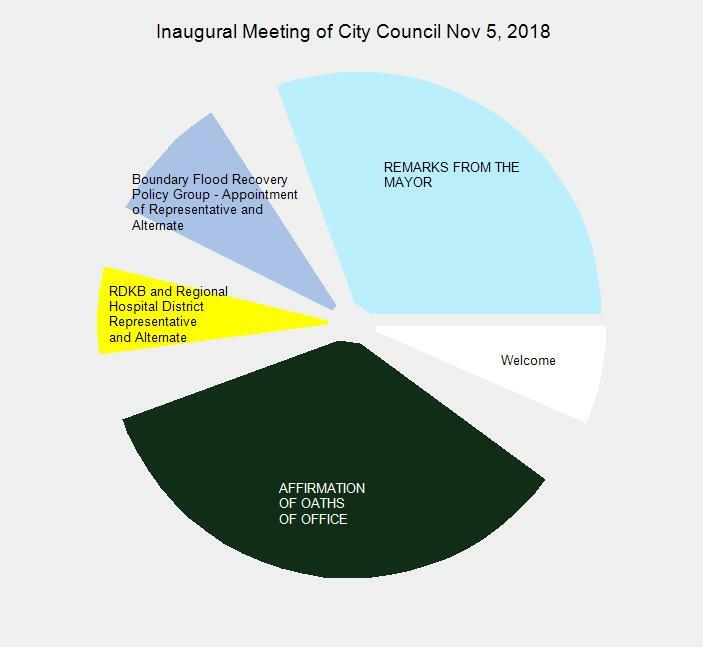 The Inaugural Meeting of the New Grand Forks, BC, City Council took place in City Hall on Nov 5, 2018 at 7PM. The gallery was full of well wishers for this first meeting of the new City Council. This first meeting saw them affirming their choice to stand for council and taking the oath of office. 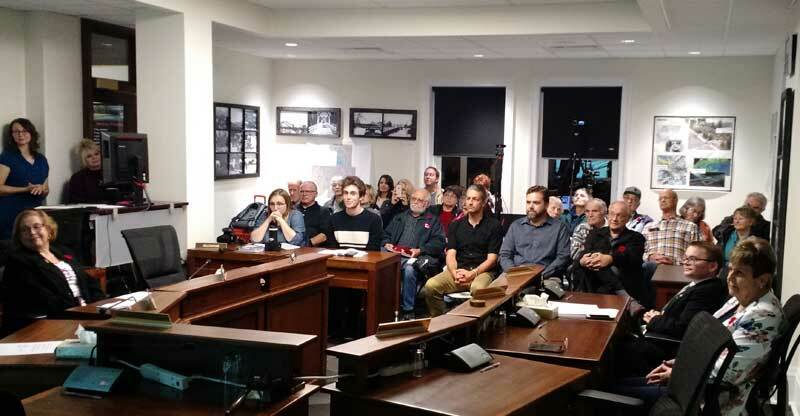 Most of the rest of the meeting was formalities: deciding who will be backup Mayor should the need arise at times, when the meetings will happen and who will represent the city on various external entities such as the Regional District, the Hospital Board and the Flood Recovery team. The only item not actually related to council business was the Liquor License for the Curling Club. This entry was posted in City, government and tagged curling club, Inaugural, RDKB Rep on November 6, 2018 by gftvboss.